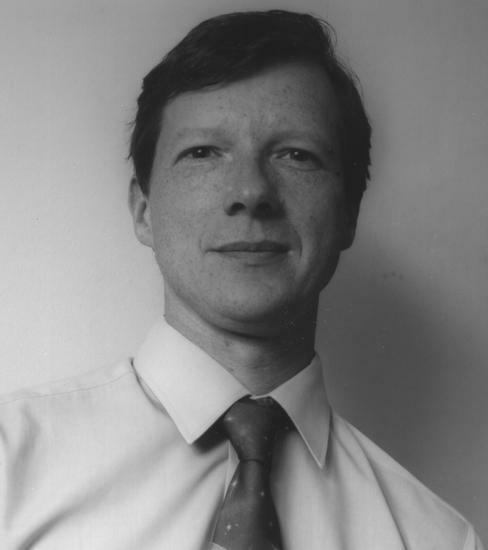 Gordon Robert Hopkinson was one of the world’s experts in the physics of optical detectors used in a wide range of applications. For three decades he was involved in detailed analysis and modelling of solid state cameras and contributed significantly to the research of their use. Gordon was born in 1952, the only child of Jessie and Alan and brought up in Nottingham. He was educated at Forest Fields Grammar School, Nottingham and went onto read Physics at Manchester University graduating with first-class honours in 1973, he then undertook a PhD graduating in 1977. Our colleague and friend Jean-Claude Boudenot passed away on October 15th, 2008, from a long and terrible illness, aged only 52. Jean-Claude attended RADECS since its very beginning, During theses years, he took many key responsibilities in RADECS Conferences, as in 1997 and 2007, and became a member of the Board of the RADECS Association and a member of Advisory Committee in 2007. All the RADECS attendees remember his wonderful and thoughtful presentations in RADECS as Invited Talks and Short Courses. Jean Claude Boudenot hold an Engineering degree from Ecole des Mines and also in Atomic Engineering. Professor in Physics, he has been teaching in different high level institutes, graduate and post-graduate, such as ISEP and EDITE. Besides his teaching, he was a high level Director of Scientific Communication in Thales Research & Technology, with the responsibility up to 2006 of nanotechnologies. He created and managed the « common technological platform » with Ecole polytechnique and other academic partners. 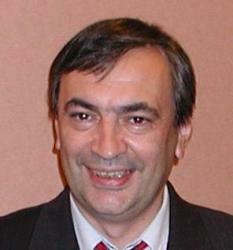 Jean-Claude Boudenot authored or co-authored more than 30 books, with 2 main topics: Physics principle and applications, e.g. « Electromagnetism & Relativistic Gravitation » or « Electromagnetic & Nuclear Compatibility », History of physics and its applications, e.g. « H.A. Lorentz, birth of modern physics » or « Branly & his findings in the radio technologies » & “From Thales to Higgs’s boson”. He was named a senior Expert of Thales, a senior member of the IEEE and an Emeritus member of the Société des Electriciens et des Electroniciens in France. He was a member-elect of the board of the IEEE France Section and vice-Chair of the IEEE/NPSS French Chapter. Jean-Claude was a generous and friendly person, with inexhaustible energy; all our thoughts go to his wife and family. We shall remember Jean-Claude. Dr Jean-Marie PALAU passed away on April 28th, 2004, in Maule, near PARIS, after a so courageous but unsuccessful fight against cancer. He was well known and respected by the radiation effects community. Jean-Marie received his Third Cycle Doctorate and National Doctorate, respectively in 1976 and 1982, from University of Montpellier, “South of France, near the sea”, as he used to say. He began his professional career as a teacher in High School then at the University of Montpellier, when he taught, at technician, engineer or PhD levels, a large panel of Electrical Engineering disciplines: analog electronics, numeric electronics, electronics for instrumentation, electro technique, automatics and servo control, industrial computing, micro-electronics, theory and treatment of signal, telecommunications, electronic devices and integrated circuits, etc. During the first 20 years, his research activity has included two periods respectively dedicated to Ferro electricity and to III-V surfaces, semiconductor-metal interaction and Schottky diodes. In 1991, he started researches on ionizing radiations effect on electronics and much of his research work has concentrated on transient and in particular on single events effects. He led pioneering research in two major domains, on destructive effects on power components for which he proposed hardening solutions and on the proton and neutron effects on electronics, that are the result of nuclear reactions induced primarily respectively by van Allen belts protons and atmospheric neutrons, for which he developed a computing code well-known on the name of DASIE (Detailed Analysis of Secondary Ions Effects) . For both of these subjects, he engaged collaborations as well with components manufacturers as with system integrators in France and Europe, in US and Japan. Jean Marie published many papers on radiations effects in the IEEE Transactions on Nuclear Sciences, in RADECS handbooks and other scientific reviews, ranging from modelling of transient effects, techniques for hardening devices and simulation of radiation environment on components and systems. He regularly attended the IEEE NSREC and RADECS after 1991, only missed them last two years for health reasons; and presented his research annually himself or through the numerous students he managed as “These Director”. Jean Marie was active in IEEE and RADECS, serving the International Nuclear and Space radiation Effects Conference Committee for a number of years as Reviewer or Session Chairman . Jean-Marie was a coach and a mentor to his co-workers and students throughout the radiation effects community. He was well known for his so-clear positions. But he provided excellent advice and was influential in the development of many professionals currently active in the radiation effects field. He was a “technician people” and loved to be technically involved with every project, managing very closely the students under his responsibility. He participated to the development of French radiation community through his work and his own network and he acted as “scientific consultant” for Aeronautic and Space companies . Among his hobbies were essentially painting and woodcarving. If he had not been stopped by illness he could think to make an exhibition. Jean-Marie will be missed by the radiations effects community, his co-workers, his acquaintances and his friends. Marie-Catherine PALAU, ASTRIUM Space Transportation, 2004 .